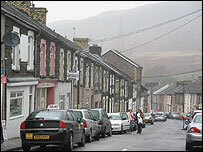 Former Labour Home Secretary Lord Merlyn-Rees, who has died at 85, began life in the south Wales valleys village of Cilfynydd, near Pontypridd. He was born on William Street, the same road which by remarkable coincidence produced opera star Sir Geraint Evans and tenor Stuart Burrows. The young Merlyn Rees was also noted for his strong singing voice, but found fame in the political arena. He started his education in Wales, but moved to London when at primary school. After education at Harrow, Goldsmiths' College and the London School of Economics, he served in the RAF during World War II, and returned to teach at his old school before entering parliament in 1963, representing Morley and Leeds South. He remained an MP until 1992, serving as Secretary of State for Northern Ireland and Home Secretary, and became a peer the same year, changing his surname by deed poll to become Lord (Merlyn) Merlyn-Rees. On his retirement from the House of Commons, he was able to renew his connection with his home country, and moved to Tintern in Monmouthshire, where he lived until his death on Wednesday. Former Labour leader and south Wales MP Michael Foot said: "Merlyn Rees was one of the truly great servants of the Labour Party all through his life. "He was particularly devoted during Jim Callaghan's premiership - standing staunchly by him and the party through some testing and difficult times. "It so happens I saw him the other day at the memorial service at the House of Lords for Stan Orme - with whom he worked closely on Northern Ireland and started the process under which I believe we got a better future for Northern Ireland. I will miss him very much". Among several honours granted him were a number from Welsh educational institutions. The University of Wales awarded him an honorary doctorate in law in 1987, and two years later he became a Fellow of the Polytechnic of Wales, based in Treforest, just up the road from his Cilfynydd birthplace. 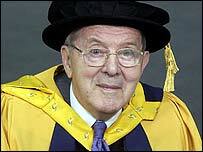 In 1994, he became the first chancellor of the University of Glamorgan when it changed from being the Polytechnic of Wales. He served until 2002, when he was succeeded by Lord Morris of Aberavon. The university's vice-chancellor, Professor David Halton said: "The University of Glamorgan is deeply saddened by the news that Lord Merlyn-Rees passed away earlier today following a short period of illness. "Lord Merlyn-Rees was the first chancellor of the University of Glamorgan between 1994 and 2002, a role which he deeply cherished given his close links to the south Wales valleys and, specifically, the village of Cilfynydd where he was born. "He will be greatly missed by all of his friends at the university." Northern Ireland Secretary Peter Hain said he learned of the death with "great sadness," adding: "He was a proud Welshman and was a hugely respected parliamentarian for over forty years both in the House of Commons and the Lords. "As secretary of state for Northern Ireland, he worked tirelessly to try to take Northern Ireland forward at a particularly difficult time in its history." Assembly First Minister Rhodri Morgan said Lord Merlyn-Rees was "a proud son of Cilfynydd" and "a pillar of the Labour movement and the Labour Government of the mid 1970's". "It was his early upbringing in the valleys that was the formative influence on making him such an outstanding Labour politician."